The Burger Master makes all other burger presses obsolete! Shape, store and seal 8 quarter pound burger patties in one easy step. 2 in 1 BURGER PRESS…this is such a great idea and you can even store these in the Freezer! The container also make it possible to put in a cooler and take the pressed burger patties with you for a picnic cookout or on a camping trip. Like an ice cube tray for freezing burger patties, the Burger Master ($24.99 over at Amazon, affiliate) keeps homemade hamburgers always within reach. 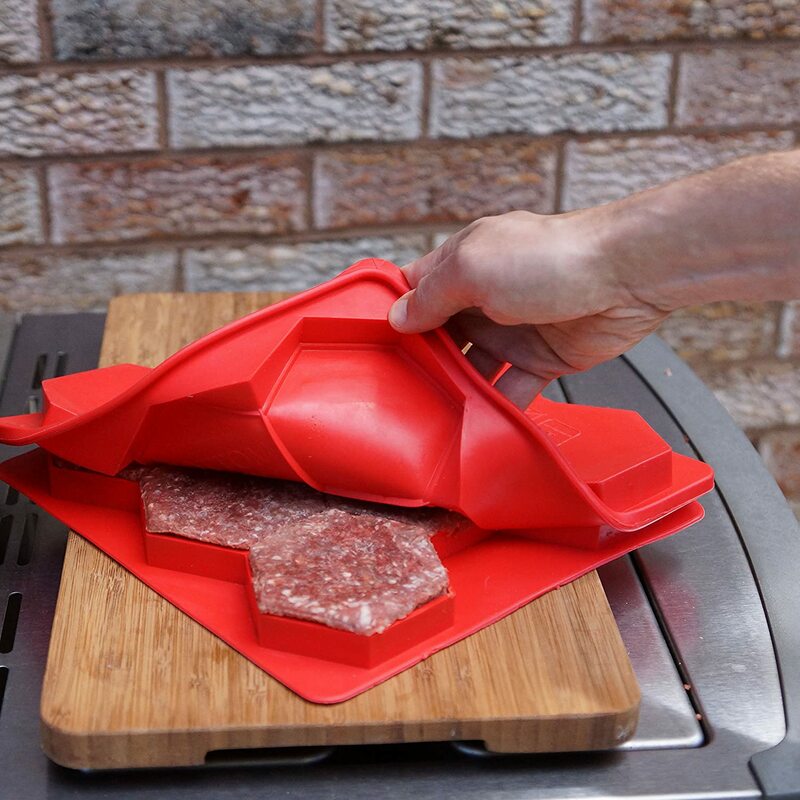 Perfect for storing excess burgers made from a batch, the flexible tray keeps patties separate and holds about two pounds. When the time is right and the grill or frying pan beckons, just pop one (or two) out and put the rest back in the freezer. The burger accessory holds eight quarter-pounders, so as long as you remembered to stock up on condiments, you'll be good to go — or at least until the buns run out. On page 2 is a video showing a demo on how to use the Burger Master.